3rd Prize x2 : Samsung Curve TV 55"
Answer 2 questions inside the contest form which is available at the Customer Service Counter. Attach the receipt to the Contest form before submitting it at the store where the purchase was made. 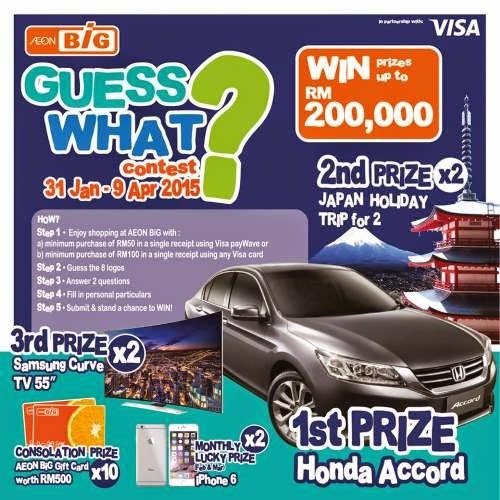 Visit AEON BiG "Guess What" contest page for more details. Don't forget to get your FREE Doraemon figurine from AEON BiG, available for a limited time only!